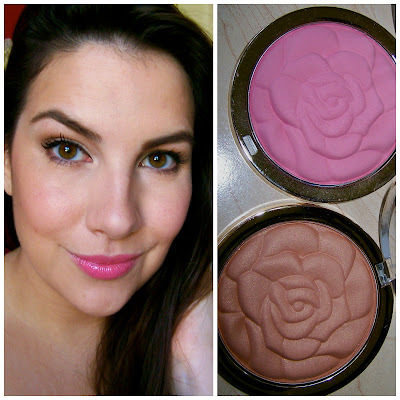 Just wanted to put together a review on these Milani "Coming Up Roses" blushes. They are limited edition, and I found mine at Walgreens in a special display. According to Milani's website, this collection is available at select Walgreens, CVS, Meijer, and Fred Meyer stores. 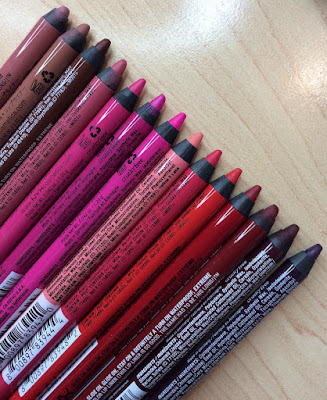 I know Milani's website sold out of them almost immediately, and I haven't spotted them yet on CherryCulture or BeautyJoint. I think they were around $8 apiece, but I can't quite remember. They're rather large- about the size of a typical pressed powder compact- and they have a gorgeous 3-dimensional rose imprint. The shades I have are Bella Rosa (matte pink), and Warm Petals (golden bronze with a hint of shimmer). The other shades were Flora Passion (a coral/pink), and Romantic Rose (mauve). I know concentrated swatches of blushes aren't always super helpful since you'd probably never wear the shades with this amount of intensity on your cheeks. But just so you get a feel for what these colors are like- here you go! :) Bella Rosa is definitely a true, classic pink. 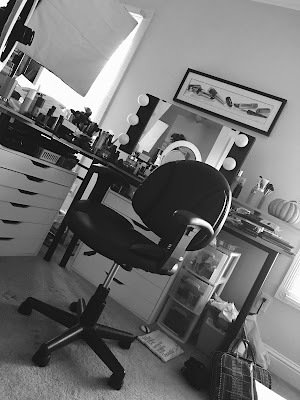 Whenever I use it, it makes me think of a youthful glow. It definitely has enough pigmentation to really show up on the cheeks, but just the nature of this shade isn't going to look "overboard". It's a very natural-looking blush. I'm not really sure why I picked up Warm Petals. It's a bronzy shade with a bit of golden shimmer, and it's just so warm... and not dark enough to be a contour, and not really a shade that I like to use as a blush on the apples of my cheeks. I am wearing both of the products in this picture- with a light duo fibre brush, I swept Warm Petals across the forehead and just lightly on top of the cheeks- it gave my skintone just the slightest bit more depth, but honestly, it's not doing much. Then I used Bella Rosa on the cheeks and absolutely love the way it looks. So fresh, natural, and pretty with a pink lip! (I'm wearing MAC Viva Glam Nicki Lipglass). Again, I'm not sure if these blushes are available where you live, but I just thought I'd share my 2 cents on them! I really like Bella Rosa, and if you can track it down, I think it's definitely worth picking up. It's a beautiful matte blush shade (kind of hard to come by in the drugstore!) and you get a LOT of product! I've checked through my collection, and the closest thing I have to Bella Rosa in color, pigmentation, and finish is The Balm's Down Boy blush. Warm Petals isn't really my cup of tea, but I'm wondering if it might be especially pretty for an all over glow on a deeper skintone. Have you tried these blushes? What did you think? Thanks for reading! "I've been using this color for a few weeks exclusively. It has a creamy texture with great color payoff! It really perks up my fair skin tone, but I think deeper skin tones would love this too!" Drinking some iced coffee and it is hitting the spot! yum! I need to work out this afternoon. I always love the "Cake" sweet that she shares with Momma. Oh wow! These are super pretty! Blush is one of my favourite things about make-up! Those blushes are absolutely stunning! I really like bella rose. Too bad we don't really have Milani in Canada or they're usually super expensive. I think the Milani blushes were out of stock because beauty blogger/vloggers have grabbed them first for reviews. haha! And please do more shop my stash post again! I really enjoyed your previous posts! I've always wanted to try Milani, but I've never been able to find any! I'll have to look a little harder!! Look lovely! I saw these in store but wanted to wait for reviews:) didnt realize they are limited edition though! Love your picture of Cupcake! 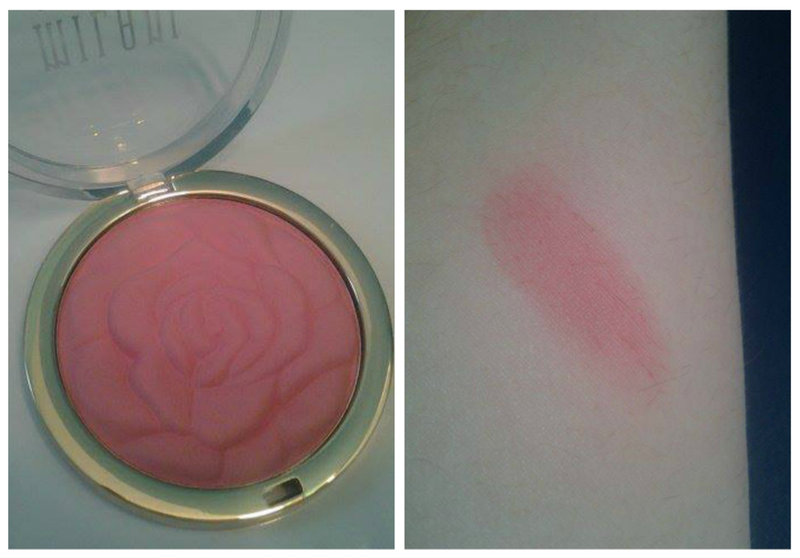 I have this blush in Bella Rosa and I like it quite a lot! Just a very pretty, natural pink shade. Great review! Ugh. I'm a sucker for pretty embossing! Wow, these shades are beautiful! LOL my cat does the same thing! When I get ready in the morning she has to sit right behind me and then tries to play with my arms when I'm putting my makeup on. So cute! I didn't see these at CVS today after reading your post! Hopefully i can find Bella Rose at Walgreens this weekend. It looks super pretty in your swatch! Hi there. 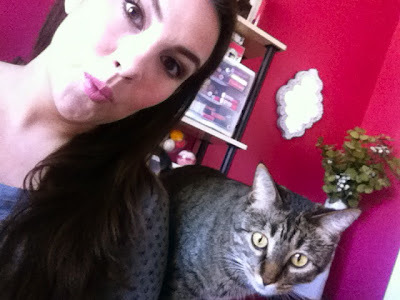 I'm new to your blog (amazing, btw). What is the best way to get questions about a post, a youtube video, etc, to you? Do you get a chance to really answer most questions? Thanks! I really want those blushes! So pretty! I know that the Milani Baked blushes last all day on me, so I was wondering your thoughts on how these compared, lasting-power-wise? I actually want the browner toned one for a more subtle blush to pair with a deep plum or burgundy lip in the fall! I have Bella Rosa and Flora Passion and love them both. Flora Passion seems go look better on me with my blonde hair ,green eyes and medium skin with yellow undertones, plus I am a sucker for corally pink lips!!! I wanted to share with you thst my 135 lb. Doberman. Ernie just loves to watch me put on my make up and do my hair. He tilts his head from side to side as if saying,"Yes, that one looks good!" " So cute! I wish that my drugstores sold Milani because I want to try so many things from the line, but I can't get my hands on them. I think you should definitely try to get your Hands on Romantic Rose because it is Pigmented and is the Best Blush for Fall because it has a plum/mauve-y undertone. I also have Bella Rosa, while the color is unique I find it to be quite chalky and patchy. I find that Milani did an Awesome Job with Flora Passion when it comes to pigmentation, color, versatility and how it applies. I didn't buy Warm Petals because of the same facts that you mentioned, I don't considered it a Blush Color and it's too light to work for contouring/bronzing up the face. These are back at Walgreens right now! I just saw them tonight. The learning lab is providing the best Primary Maths Tutor Sydney and English tutor in Sydney and if you are looking for maths tutor for your child contact us now! Kite projects Is providing construction, engineering and facilities management to provide edge protection, handrail,vertical access and hand railing solutions to Industries in United Kingdom! Kite projects Is providing construction, engineering and facilities management to provide edge protection, HOW WE CAN HELP vertical access and hand railing solutions to Industries in United Kingdom! There is so much in cheap tshirt printing this article that I would never have thought of on my own. Your content gives readers things to think about in an interesting way. Thank you for your clear information.